As it is time for festivities and Makar Sankranti is here. Yes, the well-known Kite festival! It is a harvest festival celebrated to mark the arrival of the spring season and dedicated to Sun God. Makar Sankranti is known by various names such as Lohri by North Indians and Sikhs, Sukarat in Central India, Bhogali Bihu by Assamese, Pongal by Tamils and Poush Sankranti by Bengalis. This social festivity is filled with colorful decorations, melas, bonfires and yes no festival is celebrated without delicious feasts! Today I’m bringing to you a pitha recipe called Patishapta which is popular in the eastern region of India, especially made in winters. This is a Bengali version of the French crepe. ‘Patishapta’ is a member of the ‘pithe’ family. This ‘pitha’ was always made at our home along with some other varieties on the very auspicious ‘Makar-Sankranti’ day, which usually falls in the middle of January. I regard this day as the world’s pithe-day. I remember my mother separating a batch from the prepared heap of ‘Patishaptas’ to dip them in Kheer (thickened milk). I would jokingly call the divine tasting kheer soaked patishaptas as ‘Kheer-shapta’. Mix all the ingredients for the batter. Stir well so that there is no lump formation. Keep aside for at least one hour. Place all the ingredients for the filling into a pan, keep sautéing till everything comes together as a homogenous mass and all excess liquid dries up. Prepare the crepes in a preheated non-stick tawa. Pour one ladleful of batter, swirl the pan in a circular motion to get perfectly round shaped crepe. Place a tablespoon of filling, shaping like a cylinder onto the crepe. Roll from one side, folding it till it forms a perfectly filled, rolled crepe. 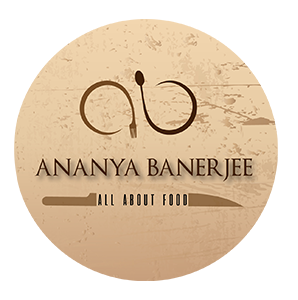 Enjoy cooking and do share your cooking experience with me. Till then stay tuned for more recipes on Happy Tummies Around the World. Next Post Basant Panchami – Worshipping Goddess Saraswati, Memories and More!